Blowout bars are becoming more and more ubiquitous. For now, you’ll find them in major metropolitan areas and they are sprouting up with more regularity and the trend is sure to catch on. One of the biggest blow dry salons is Drybar. The mantra of Drybar is: No cuts. No color. Just blowouts. 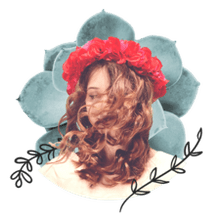 The blowouts cost $35 outside of New York City and $40 in NYC, regardless of how short or long your hair is and if you use additional styling products or tools, including a flat iron or curling iron. Old Fashioned invokes old Hollywood. Don’t see what you’re looking for? The stylists are very amenable to customizing your look. A Cosmo-Tai, combo of loose and messy curls is a popular option, for example. In addition, updos are available for $80 and Shirley Temples (blowouts for girls under 10 are $28). Once you’ve decided on a style, your stylist will wash your hair for you. He or she will ask what type of products you like (volumizing, straightening, etc.) and if you want one shampoo or two. 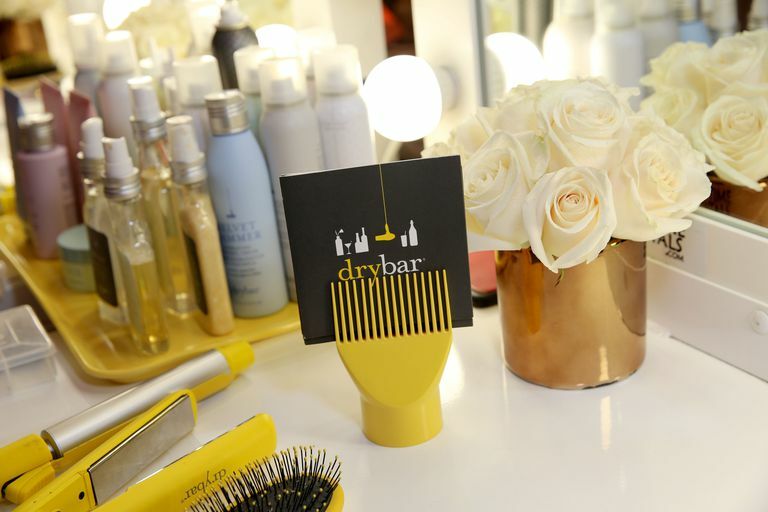 Drybar offers a range of products and you may be able to request them by brand name. I’ve seen L’Oreal professional and Moroccan Oil products with regularity. Feel free to give direction about how you like your hair washed and conditioned. From there, it’s back to the styling stations. Your stylist will start by asking if styling products are OK and what type you like. They have everything you can think of: mousse, volumizing spray, straightening cream, and gel, etc. From there, your stylist will work his or her magic. Two of my many favorite parts about a trip to Drybar is they have a wonderful selection of current magazines and are always showing fun chick flicks on the wide screen TVs that are visible from all the styling stations in the salon. I’ve caught Bride Wars, Something Borrowed and Mean Girls while there. One of my other favorite parts is that there are iPhone charging stations by every chair in the salon, so if your phone is running low, you can juice it up. Your stylist will check in with you along the way to see if you are happy with the way your hair is turning out (Are your curls too tight or too loose? Do you want more volume?) If you are unhappy at any point in the way, feel free to speak up and point it out. The blowout takes about 40-45 minutes from start to finish, depending on how long and how thick your hair is. At the end, your stylist will ask if you want a spritz of hairspray. I have two complaints about Drybar. While all the stylists I’ve had are talented and lovely, I’ve never had the same one twice. You can request a stylist, but whenever I find one who I think has done a particularly impressive job with my hair, he or she has moved on by my next trip back. I also really wish they offered manicures. I love to multitask and get my nails done while I’m getting my hair done, especially if I have a special occasion coming up. Is Drybar Right for You? Personally, I’m a huge proponent of weekly blowouts. Depending on the time of year and my activity level, I can make a blowout last for up to a week. It’s a major timesaver on a daily basis. If you find yourself spending more time than you would like styling your hair every day, I encourage you to check it out.